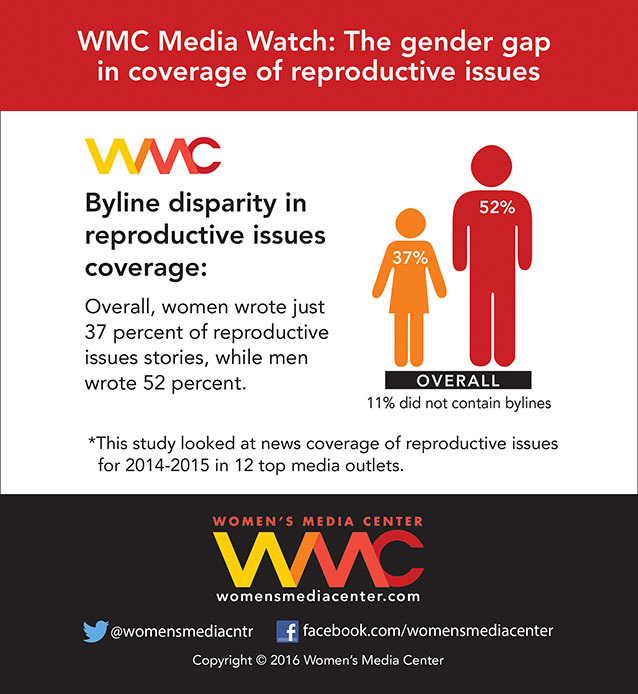 Looking at news coverage of reproductive issues over a one year period from 2014-2015, Women’s Media Center found an interesting disparity: over half of the bylines were written by men. 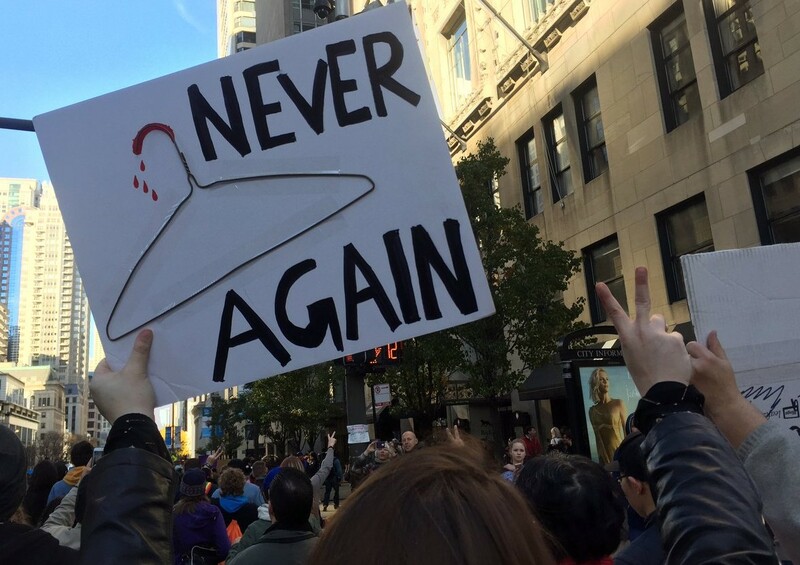 A quick look at the history of opposition to abortion and other reproductive health services make it clear that men have no problem speaking for women when it comes to their issues. 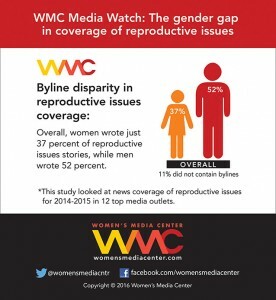 And research released by WMC have confirmed this phenomenon: after looking at 1,385 news stories, columns, op-eds, and editorials covering reproductive issues, 52% of the stories were written by men, while only 37% were written by women. 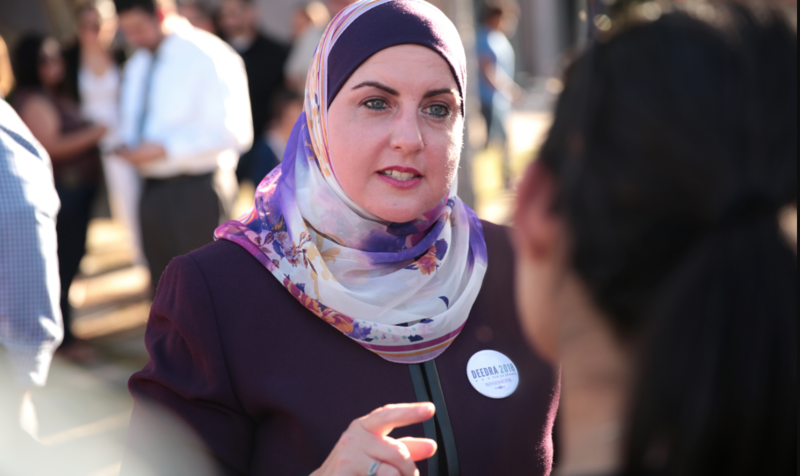 And in presidential election coverage related to abortion and contraception, the gender gap widened with male reporters accounting for 67% of the writers. Looking at 12 of the top media outlets, not a single one of them had women writing the majority of their stories. 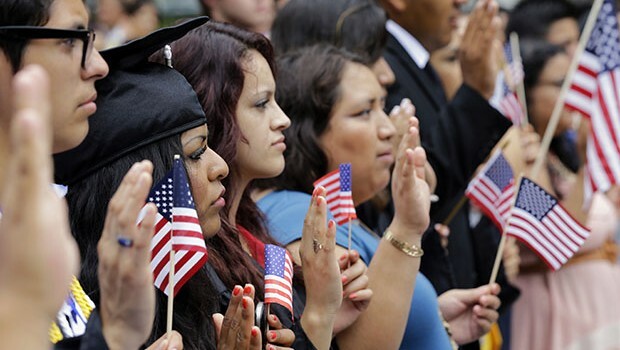 WMC’s research also reveals how this imbalance has consequences for who gets quoted in those stories. They found that male reporters were more likely to quote male sources in their stories, while female reporters were more likely to quote women. 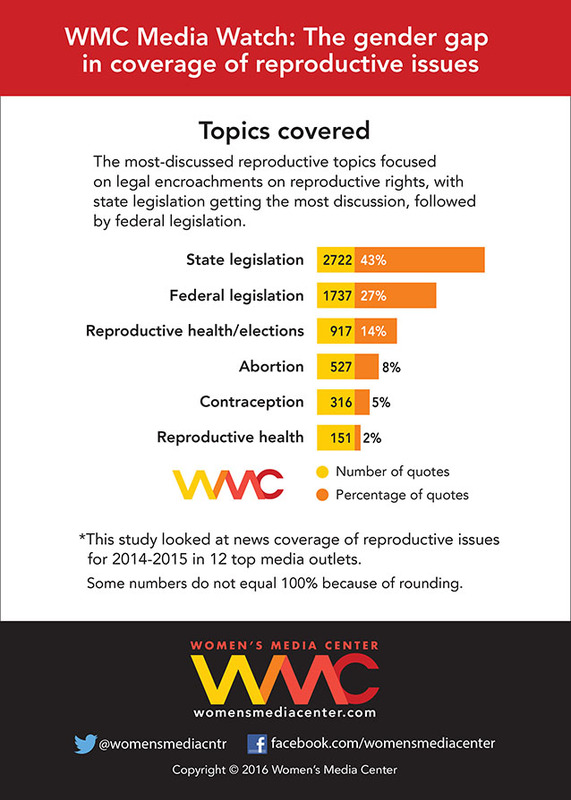 The study also looked at which topics related to reproductive health were covered most. 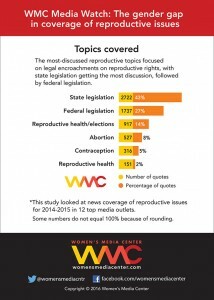 What this all means is that essentially, male voices are dominating the discourse on reproductive issues. Apparently mansplaining knows no bounds. Check out the infographics below.